Someone at work asked me today what I had growing in the veggie patch for winter. It took me a while to remember, so thought I better post a reminder for myself. This will also help when I look back on the blog next year to see what I had in the ground about this time of year. 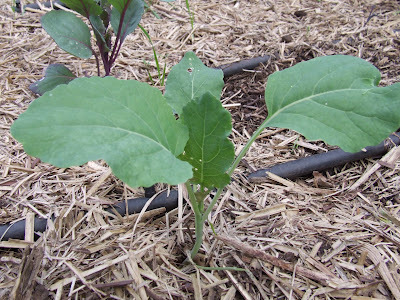 A while back (February I think) I planted some brassicas from seed. 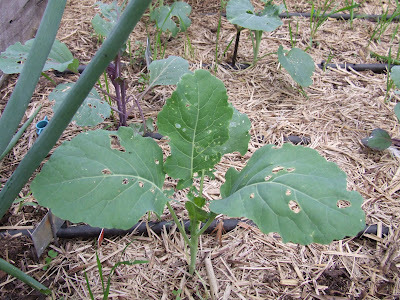 This is a calabrese broccoli being heavily attacked by cabbage moth. Behind it is a purple cabbage, and some romanesco. Same broccoli type, right next to the other one that was half eaten, with hardly a bite taken out of it. I have been picking the caterpillars off each time I get a chance, and have found a bit of a decoy for the moths. Up the other end of the garden are some nasturtiums that are covered in cabbage caterpillars, so I think the veggies might be getting a reprieve! 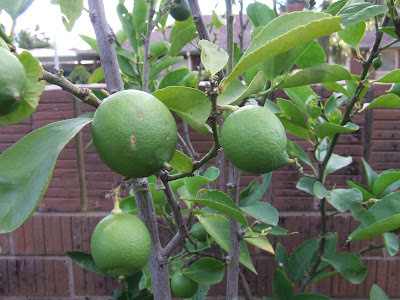 The four established citrus are doing well with the Tahitian limes doing the best this year. The tree is laden with them, as I fertilised well with blood and bone in the spring and kept their pots moist over summer. 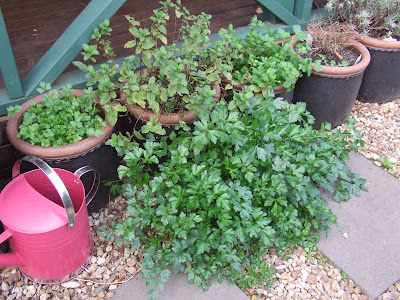 The flat-leaf parsley is sprouting up everywhere as weeds, and every time I go past I grab a few sprigs and have a munch. 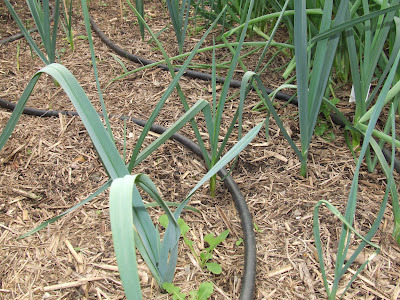 All of the leeks that I planted from bulblets are doing very well, far in advance of the ones I planted from seed. There are still a few bunches of spring onions on the go. Kim pulls a few bunches a week for various veggie meals. I planted about 12 more bunches from seed that are doing well now that I transplanted the jiffy pots into the bed. 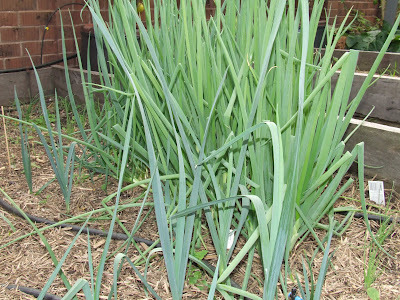 I planted the garlic that I had saved from last year and it is doing very well. 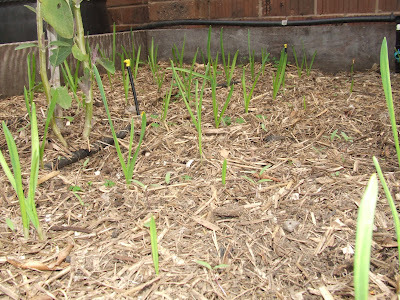 The garlic has been in the ground since 8th April. Last year I saved quite a bit of broad bean seed, and this is the third season that I have done so. It is Aquadulce, and grows tall and prolific with white flowers. The bed was well composted and I should get a bumper crop. 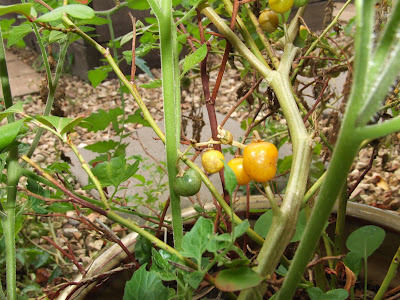 We still have one tomato bush rambling along the deck railing that sprung up in one of the blueberry pots. We are still harvesting a handful a week for salads. Remember my little moon planting experiment with snow peas that I started in March? Well the green tray was planted just after a full moon when you are supposed to only sow root crops, then two weeks later, just after the new moon, I planted the black tray from identical seed stock. Both trays have identical seed raising mix, and exactly the same amount of water. The green tray took 7 days to germinate with two of the cells failing to sprout and are weedy and struggling. However the black tray germinated in 5 days with 100% success rate, and are strong, long and healthy. It just goes to show with this simple experiment that there is something in the moon planting method. 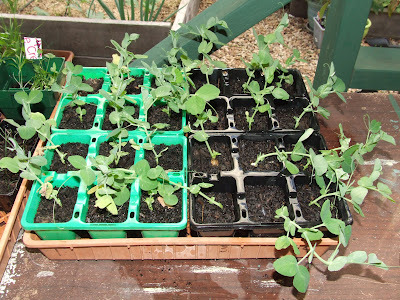 If all things were equal, the green tray should have been larger than the peas in the black tray as they were planted two weeks earlier, with the opposite being the case. These peas will go in the bed that I pulled the pumpkins out of (see below). With the pruning all but done, and only one big old plum tree to go, and most of the crops in the ground except for some spinach, a few more brown onions, and some more leeks, there is not much to do for a few months except pest control and weeding. Sounds like just the rest I need over winter, so I can tackle the construction of a few more garden beds! 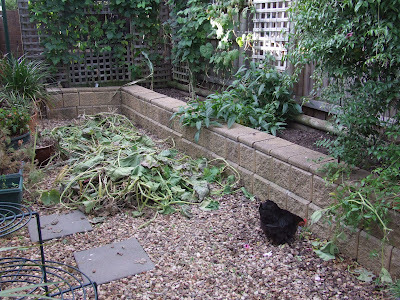 Stay tuned, as Kim gave me a great idea about how to maximise space in the raised walled bed (pictured left). Just think a big “M” shape with two more beds sticking out from the long wall. Time to maximise gardening space. 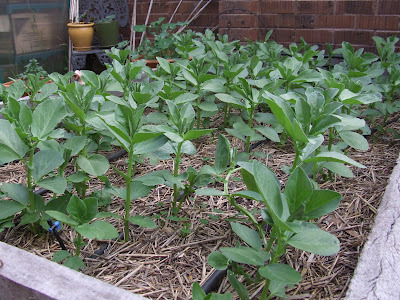 Just on the subject of moon planting, has anyone else tried an experiment like I did with the snow peas? What were the results, because I am very interested in the subject? Happy food security preparation, wherever you may be on this big blue/green marble we inhabit! We are going to need it soon enough. May all your microbes be fruitful and abundant. Yesterday I was clearing the pumpkin patch as it was dying off. A simple and rewarding task that kept me busy for 20 minutes. However it took me more like 40 minutes due to this head cold I now have. 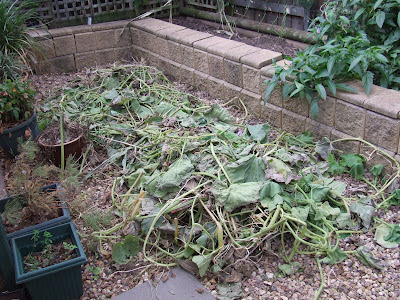 All this vine is heading for the compost bin when it shrinks a bit over the next few days. I had some helpers. 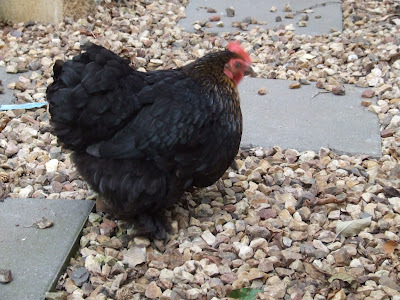 The two bantams were free ranging, so I had a constant companion the whole time I was working. Jane, the cheeky chicken thought that there might be an opportunity to find some grubs or worms, so she stuck to me like glue the whole time. She is so cute, and very very cheeky. If I don’t let her and her friend Poppy out at about noon, then she creates such a fuss that it is louder than a dog barking. She usually gets her way. I took a moment to step back and see what what she was doing. She was doing my weeding for me, so I took the time to take this little video to show her mannerisms. She cracks me up. Now as for Poppy, she has decided to be clucky, and is sitting on a couple of golf balls to keep her happy. 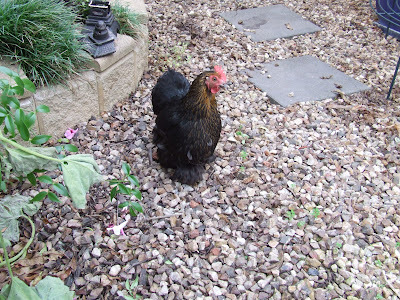 I have had chooks long enough now to not fuss over the ways of nature. Just let it be and make sure she still eats and drinks each day. She will snap out if it in a week or two. So what was the harvest like? If you compare it to last years harvest it was a lot smaller, but at least 7 pumpkins is better than none. 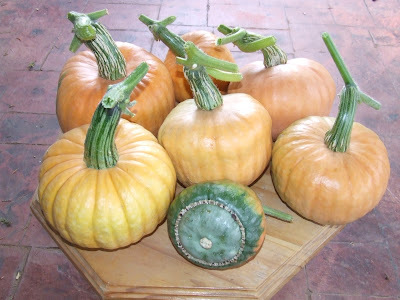 They are all Australian Butter pumpkins except for one which decided to be a cross between and Aussie Butter and a Turks Turban! Got to love nature for all her wonderful weirdness. I suppose that is what you get when you save your own seed. They are all probably two meal pumpkins, which works out just fine as far as I am concerned. I did plant them very late this year, in mid December. 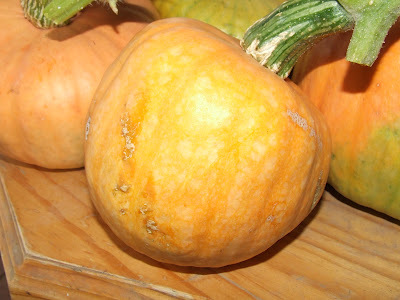 At least there will be no forgotten pumpkins left in the crisper growing fungus this year. Not that there is usually any waste around here, it is just a little bit easier to uses them within a week if they are smaller. How are your cheeky chickens, and did you get a pumpkin crop this year? I just received my latest energy bills, one for electricity and one for natural gas. However before I reveal all, I have a little story. A friend recently posted on her Facebook page her latest power bill with a bit of a whinge about the price of electricity. Her’s was modest, so she asked others what their last bill was. There were some that were below $200 and some as high as $1200 for a quarter. 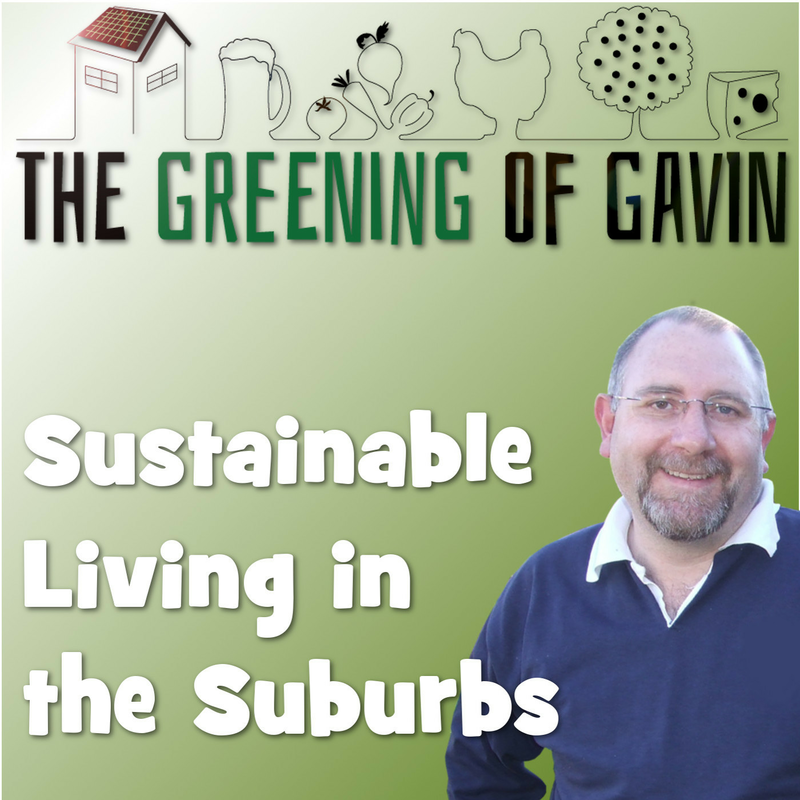 I was shocked when Kim showed me, as they were blaming everything from the carbon tax (which is yet to start in July, so has no effect yet), to greedy energy companies, and I even saw one person blame those who have installed solar PV on their roofs and the GreenPower scheme! Not one single person took accountability for their own actions and had tried to conserve electricity through energy efficiency. I was not surprised about the blame mentality, seeing that the media has been on a bit of a rampage of misinformation lately regarding high electricity prices. The main reason behind the rising cost of our electricity is that the power distributors are having to replace aging grid infrastructure and expand it for the rapidly rising demand from the residential sector. 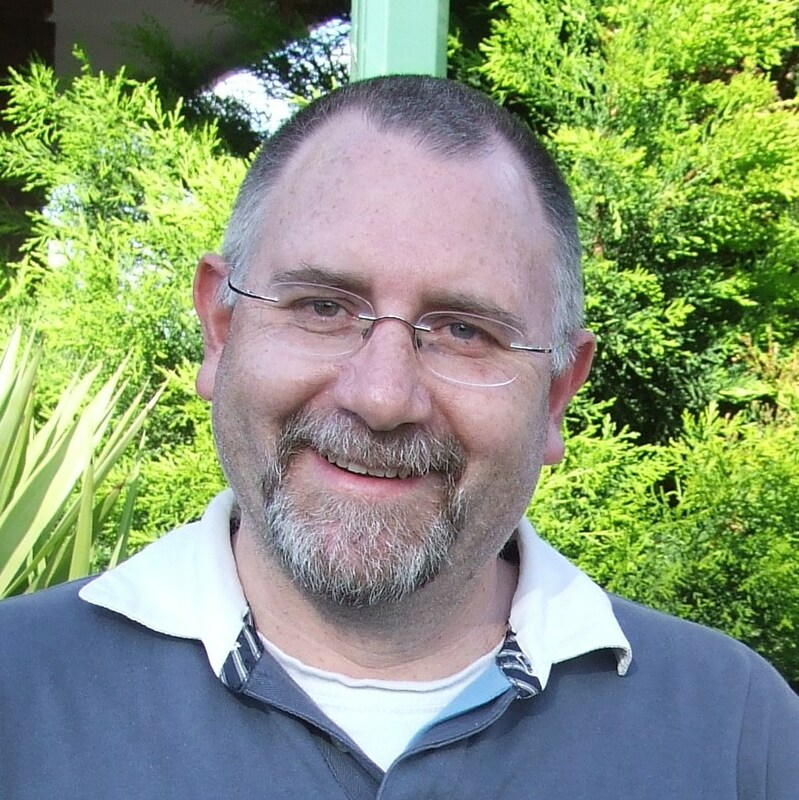 In April 2012, the Independent Pricing and Regulatory Tribunal (IPART) in NSW released their draft report on changes to regulated electricity prices. 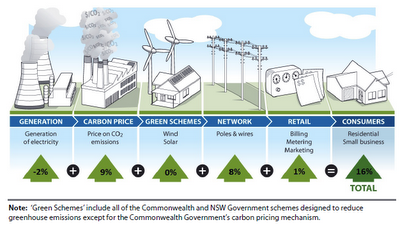 The report forecasts an average 16.4% increase in NSW electricity prices as of July 1 2012. Most other states are predicting similar annual increases. The report names the predominant drivers for the cost increases as Network costs, Retailer costs & Carbon pricing. Their report takes into account the Clean Future legislation that comes into effect on July 1st. The graphic from the report makes it a lot clearer. Interestingly you can see that ‘Green Scheme’s’ which encompass various wind and solar programs were shown to have little or no impact on electricity increases. In fact electricity generation costs had dropped by 2% which some people attribute to the “merit order effect” from the growing volume of solar installations which are starting to influence lower wholesale electricity costs. See, solar is not the culprit for higher prices, but a contributor to lowering the price. As for the network costs, did you know that for every $1000 split system air-conditioner a home owner installs, our power distributors have to spend another $7000 in infrastructure, a cost that they pass right back on to the retailers and therefore the consumer. Currently the carbon price does not have an effect until 1st July, so cannot be blamed for the current high prices. 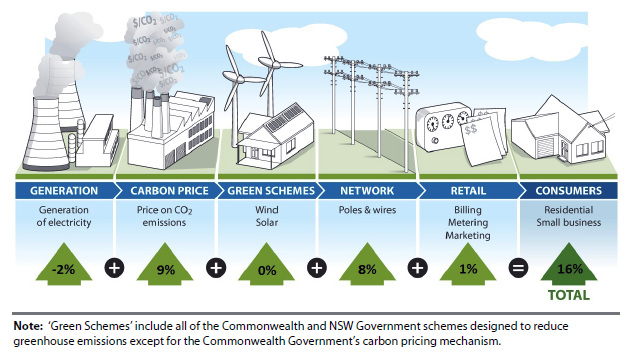 After July, the carbon price is expected to give a 9% increase, however the majority of Australians will be compensated via the scheme, which will more than likely over compensate for the cost increase effect on electricity prices. 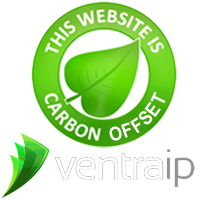 You can check what effect the carbon price will have on your household budget at the Clean Energy Future website. Now I have a simple solution for all of this, and that is to use less. Not that hard really, and I have been doing and writing about it for years. So on to my bill for the quarter. 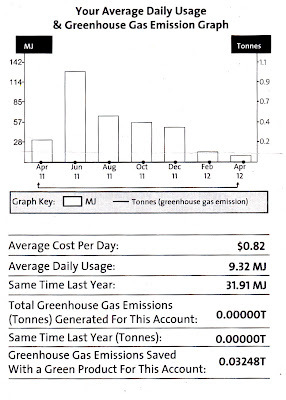 As we are fairly energy efficient, we are currently hovering around 12 kWh per day. The swimming pool and air conditioning for Kim for this quarter has pushed up the average a bit, but it will go down now we are nearly in winter. Since we applied for the Premium feed-in tariff, we have been in credit ever since. This bill is nothing to whinge about and will be the highest for the entire year due to summer. Yes, that is $223.38 in credit. 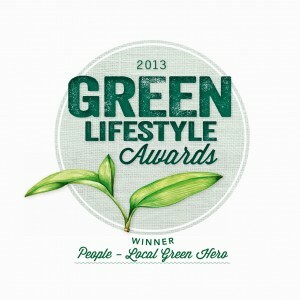 We used 1152 kWh from the grid in 93 days, and generated 476.4 kWh. Like I mentioned, we could have used less, but for air-con and the pool pump. Now for the natural gas bill. The price of natural gas has risen as well, and our bills had been quite high. This bill is for two months usage. Our retailer has dropped the network fee, and added it into the per MJ cost. Thankfully is has gone down dramatically. Have a look at the graph below, and I will explain why. Our solar hot water service had broke around June last year (we think). 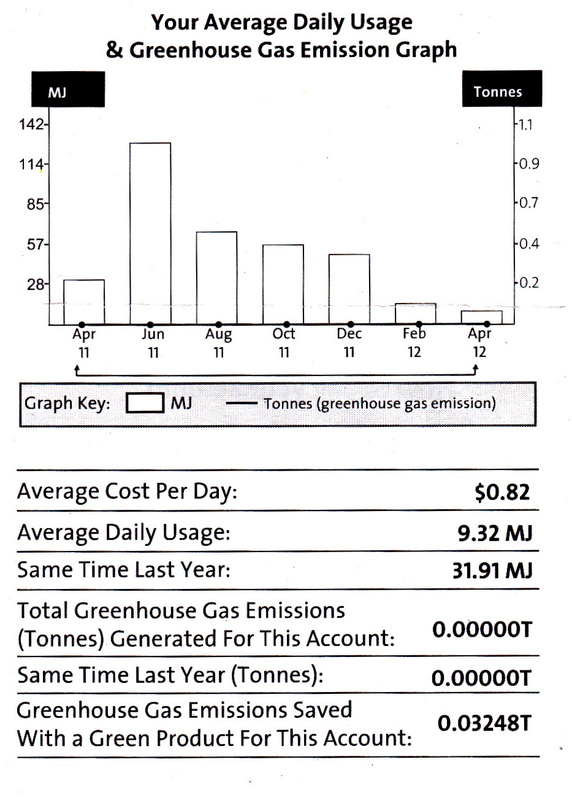 As I wasn’t monitoring the bills I didn’t notice the baseline rise in energy usage. Yes, I should have been watching the bills, but Kim is the one that pays them, so I just thought they were as low as they usually were. However, due to the broken solar hot water service, all of our hot water was using natural gas to heat it. The solar hot water systems was fixed back in January after two months of service calls, where they didn’t really know what was wrong, even though the initial fault was a burnt out pump, they had to replace every electrical component. The control board was stuffed, as were the two sensors on the tank and the panel. So you can see on the graph that since it was fixed our gas bills have fallen dramatically, and our daily average is back where it should be! Our usage is now mainly for cooking. In summary, if you switch solar for electricity and hot water and do away with fossil fuels, you should never have issues with energy bills again and you will reduce your green house gas emissions. The only thing you then need to keep an eye on is your own usage, which makes all the difference. Got to love the Sun!